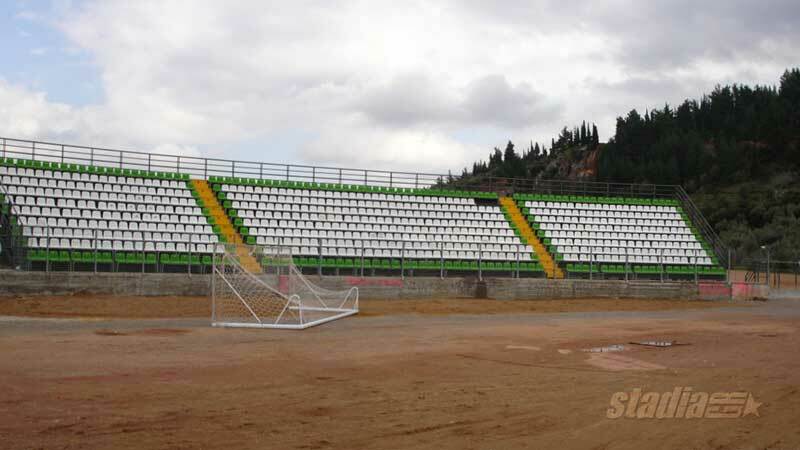 Levadia Municipal Stadium is a multi-functional sports arena located in the Greek city of Levadia. 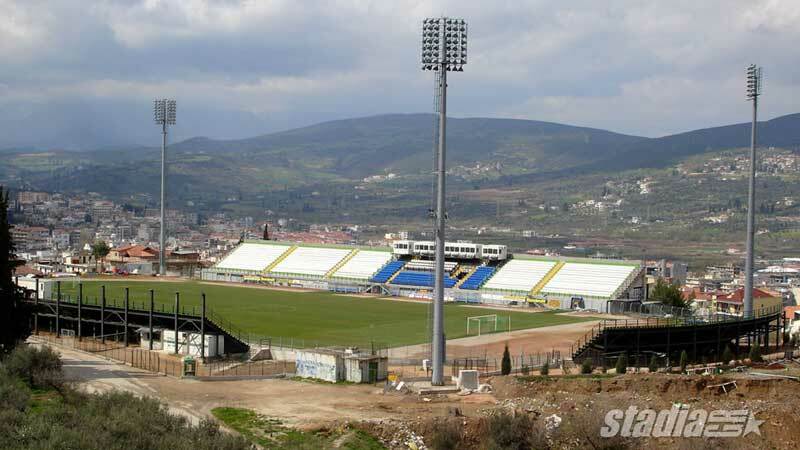 First opened in 1952, the ground underwent significant redevelopment in 2005 with the 6,5000 capacity venue used primarily for football matches of Levadiakos F.C. Written history section to be added soon. 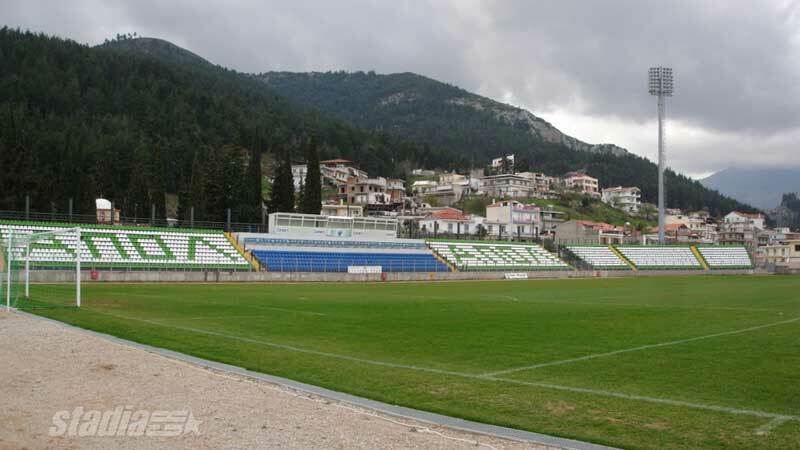 If any Greek Football Trippers happen to have a stadium map or seating plan of Levadia Municipal Stadium which we can use then please get in touch via the contact page! Levadia Municipal Stadium is comprised of four stands: North, East, South and West. It would make sense for the travelling supporters to be housed within the south-west corner as the little stand which stretches slightly around the corner is separate from the south stand. This would allow the home and away fans to be split up which most stadiums try to enforce these days. A small array of official and unofficial merchandise is usually on sale outside the ground on match days, and is one of the few opportunities you will have to pick up a souvenir of Levadiakos. This is because there is no permanent club shop or online fan store where you purchase goods from. You can forget a tour of the facilities at Levadia Municipal Stadium, there simply isn’t enough to see! Individual tickets to see Levadiakos F.C play at home can only be purchased from the stadium on match days before kick-off. There is no online booking facility currently available, and as the games practically never sell-out you can always pick up tickets on the day. Don’t expect to pay any more than €15.00 for the most expensive seat in the house, however when Levadiakos play in the second division you’re probably looking closer to €10.00. 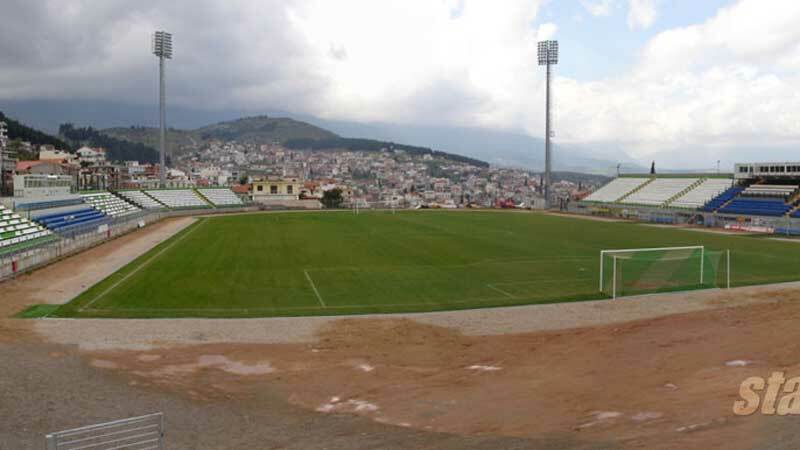 Levadia Municipal Stadium is located just under 1 kilometre south-west of Livadia city centre where the waterway flows through. Most Football Trippers could easily walk to the ground in 10 minutes which is very handy to know. Like a lot of municipally owned stadiums in Greece there isn’t an on-site car park which means you will have to contend with residential parking. There is a Livadeia station however its situated in Strathmos which is 23 km north-west of the small town centre. A look at the exterior of the main stand complete with graffiti of the club. The closest international airport to the Livadeia province appears to be Nea Anchialos Airport however the distance of 120 km is misleading due to existence of the Malian Gulf. There aren’t many accommodation options within Levadia with the following three being the pick of a limited bunch: Laodamia Hotel (4 stars), Hotel Erkina (Central) and Levadia Hotel (3 stars).